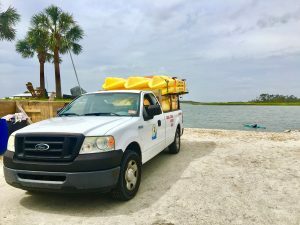 Our unique Kayak Delivery option allows you the opportunity to paddle over to Little Tybee Island or paddle the back river from Alley 3. We deliver only to the Alley 3 location. At this launch access point you will have easy launching and docking. Great for paddling alone or with friends on this side of the Island. 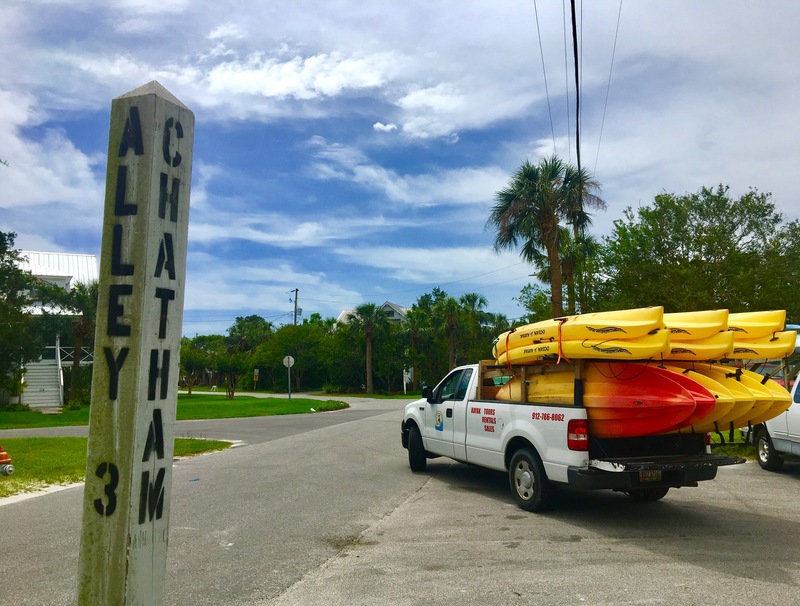 Delivery includes kayak, paddle, life jacket, kayak seat, kayak setup, pick-up and delivery. Little Tybee Island is located directly across from the launch area. Launching from this location provides you direct access to this uninhabited island. Another option at this launch point is exploring the back river waterways. We will provide the recommended routes and safety areas, so you can explore the salt marsh estuary and beaches of this coastal barrier Island ensuring maximum fun. Take a nice casual paddle to the beach, relax in the sun, or comb this uninhabited beach for shells. If you decide to explore, keep in mind that the tidal changes are extreme and can go up to 9 feet or higher. The water condition changes with the different tidal shifts, tides coming in and tides going out. Ensure you paddle within your limits, do not put yourself in uncomfortable situations by trying to follow others kayakers in the area. This area is safe, fun and somewhat protected form the ocean but safety is always first, so keep this in mind when paddling. 24 hours (overnight) rentals Single $65 Tandem $75 All 24 hour rentals must process paperwork at the office. No kayaking or delivery, if high wind or adverse weather is expected in the area. We Do Not deliver on Holiday Weekends to Alley 3 due to limited parking space and traffic delays on the island.